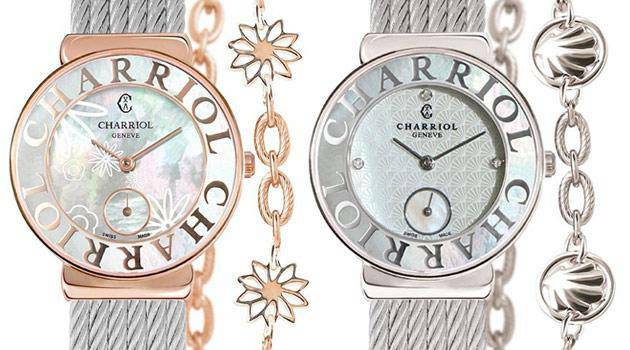 CHARRIOL’s new COLVMBVS Cintré Convexe watch marks a return to sober styling. In response to a growing trend for more pared-down designs, the new Cintré Convexe timepiece, part of Charriol’s iconic and nautical-themed COLVMBVS ™ collection, breaks away from a circular design and reintroduces a classic aesthetic based on harmony of lines. The COLVMBVS Cintré Convexe watch, released in several variants for men and women, displays a lightly cinched rectangular-shaped case. The top of the case, in polished stainless steel, is contrasted with brushed stainless steel sides, which adds depth to the piece. 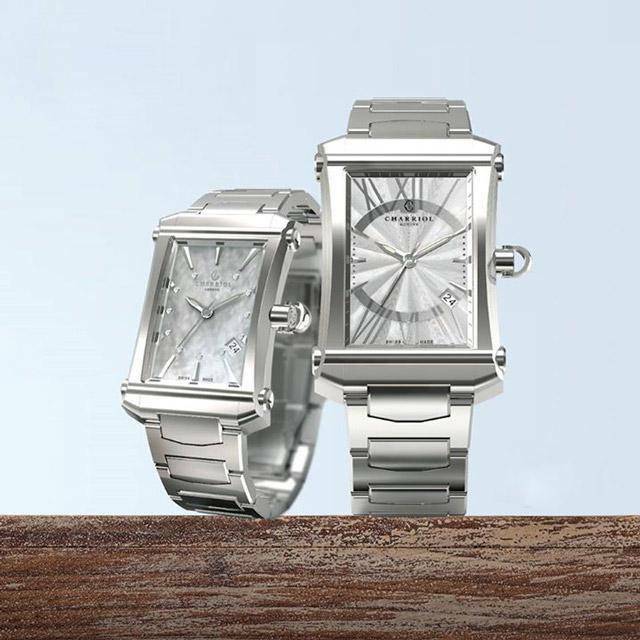 A curved glass case further enhances the interplay of curved and straight lines that are the hallmarks of this timepiece. COLVMBVS™ Cintré Convexe for men (33mm x 51mm) comes with a choice of a quartz or automatic mechanism. Straps are available with a dark brown or black crocodile-style strap or Charriol’s new rounded link stainless steel bracelet. The flagship COLVMBVS™ Cintré Convexe model shows an anthracite brushed honeycomb dial overlaid with a spoked skeleton dial in grey ruthenium. This extra detailing recalls the spoked wheels or winch on a ship – a nod to COLVMBVS™ nautical origins. This model displays polished silver Arabic numerals and screws, blued steel hands and a second hand with the Charriol insignia. A second variant for men is worked with a silver sun-brushed guilloché dial and Roman numerals, with a date counter at 4 o’clock. 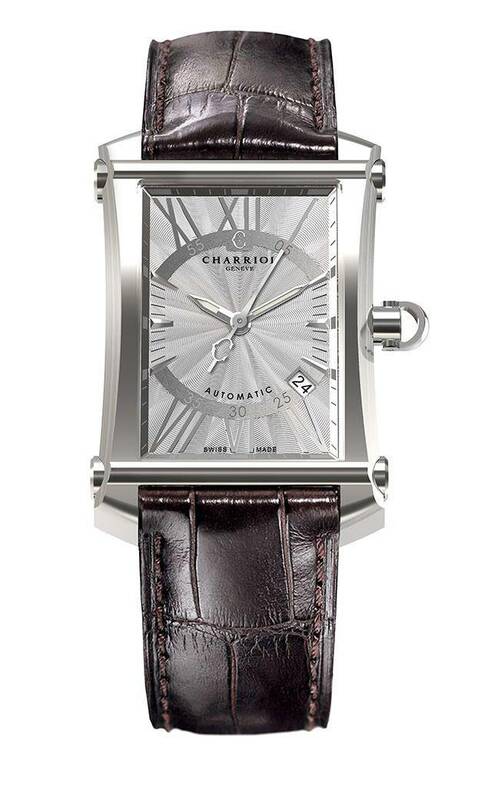 On each piece, the ‘automatic’ stamp is seen at 6 o’clock, and the Charriol logo at 12 o’clock. A crown in the shape of a clevis, a nautical pin used on a ship’s rigging, brings another nautical accent to the timepiece. 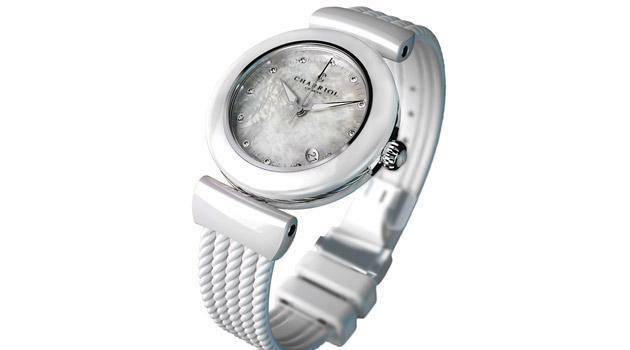 For women, the COLVMBVS™ Cintré Convexe comes in a 27mm x 41mm size with a grey, ivory or anthracite crocodile style strap or sporty stainless steel bracelet. 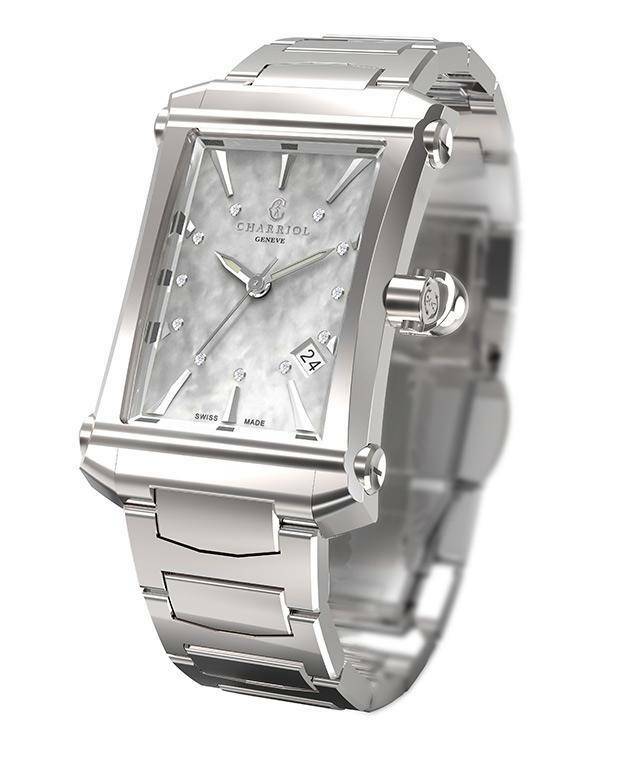 This variant features a quartz mechanism and displays a white mother of pearl dial with diamond counters and nickel-plated facets-cut indexes. 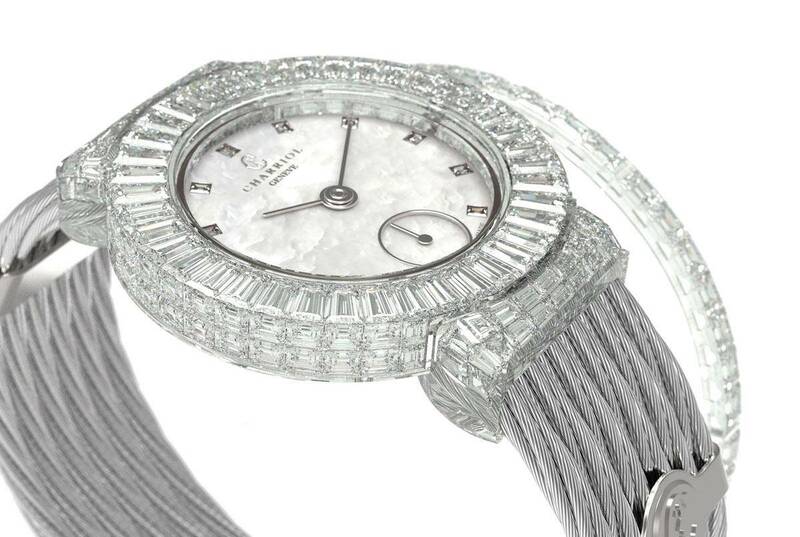 A second model is worked in a silver-toned guilloché dial with Roman numerals accented with diamond counters. 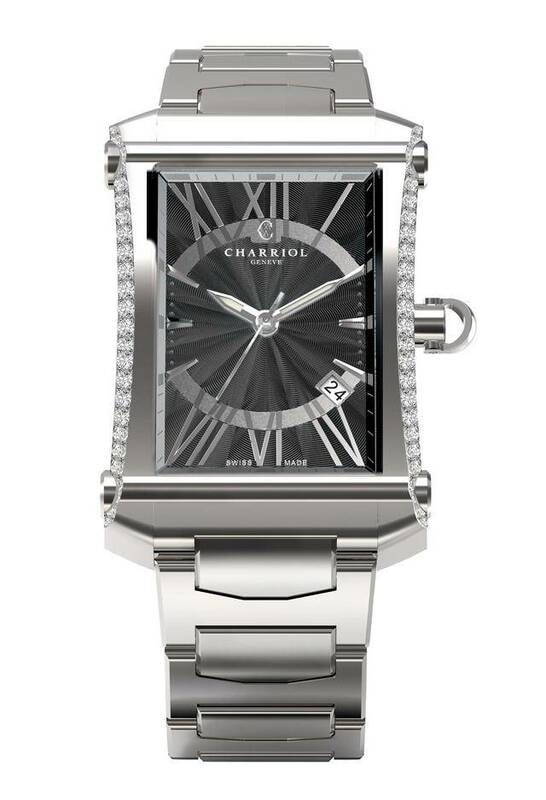 Both show a date display at 4 o’clock, and the Charriol stamp at 12 o’clock. Sophisticated and with a precious touch, the women’s COLVMBVS™ Cintré Convexe timepieces embody classical elegance and will perfectly complement any outfit or occasion. The men’s models contrast a touch of Art Deco styling in a unique design that recalls the past whilst affirming the present. 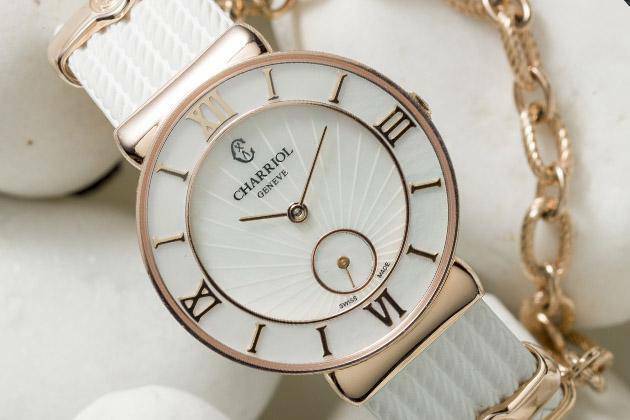 I love this watch but live in Colorado, USA (where there are NO Charriol retailers) and I can’t find this for sale anywhere online. Where can I buy it? The Colvmbvs Cintré Convexe will be available by the end of September.